I am a Japanese stamp collector based in London. My profession is a designer – I design furniture, household products, lighting, interior and exhibitions. Postage stamps are functional securiteis for documents delivery, but sometime they can make smile – if a stamp is made beautifully with passion of designer, engraver and printer. Stamps reflect atmosphere of the time, economy and politics of a country. 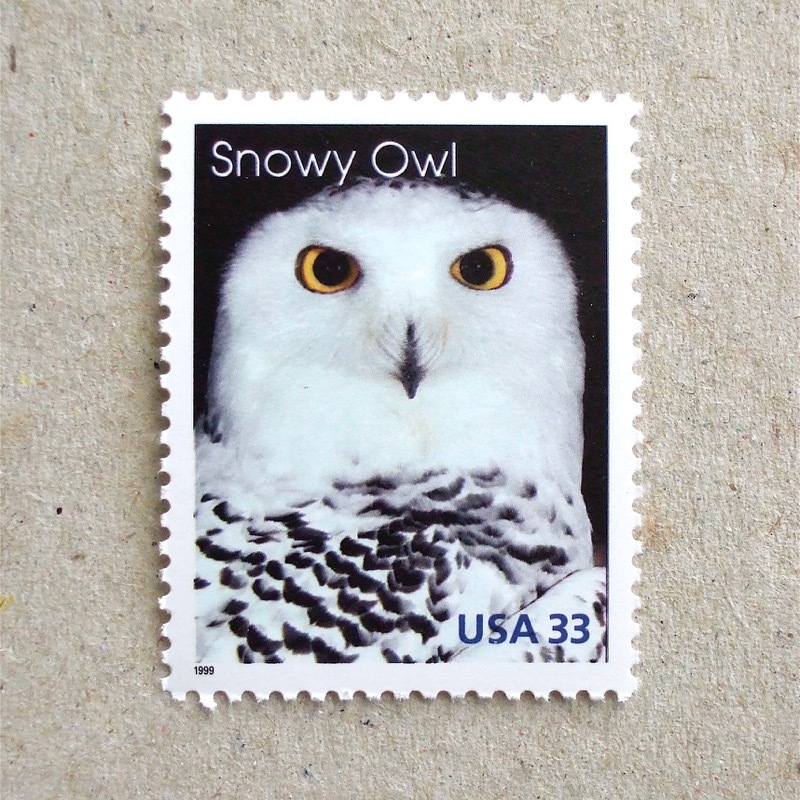 These are all alike to my profession – so, I am interested in the world behind these small stamps. In my childhood I often saw my mother cutting envelopes to collect used stamps. There was always a red circle on her calendar, noted ‘new stamp release’. When I left home for study, she had regularly sent me letters with her favorite stamps on, and she continued when I started to live in London. British stamp design made me into this hobby myself and when foreign friends from college returned to their countries and started to send me cards, I discovered wider world of stamps. Ten years ago I inherited my mother’s collection – Japanese mint stamps from 1960’s to early 1990’s and two shoe-boxes full of used, non-removed stamps. Shortly after I became a subscriber of Royal Mail stamps and started to pop in stamp shops in foreign cities. Finally this year, in 2009, I started to sort out my mother’s collection. When I looked at partly assembled files and bags of used stamps, I recognised that I am a Stamp Collector. My collecting themes are listed in 2.collecting themes, as well as in Topics column. By my profession, I am interested in design generally. As a weekend cyclist, I cannot resist collecting bicycle and cycling stamps, as well as road safety and environmental issues. I am not keen on animal, flower or bird ( too many stamps of those, aren’t there? ), but I collect owl, tree and cat when I like design. I started this blog because I want to sort out stamps I have, to know a bit more about each of them. Also I thought I may have chance to exchange stamps, if I make a list of what I can give away. More about exchange is 3. exchange of stamps and available stamps are put in *exchange list. Since I started this blog, my collection is expanding, at the same time I have better idea on what kind of stamps I am most attracted by and why. I recognised that there is a huge world of stamps waiting for me and this idea makes me very excited. I hope you enjoy this blog as well. I suggest you a link exchange. I just add a link to your blog in my personal website. Multilingual encyclopedia composed around four sections: personages, fauna, flora and geographia. Image gallery about iconography, genealogy, history, art and taxonomy. Thank you, Jaume, for your interest and the link. Yes, I added your website to my link. I have renewed my website recently and, therefore, your link to my site is dead. Hello, I am new here. Just randomly found you as I was searching for some ways to exchange stamps. I am small collector only. Hope to exchange with you in the near future. Thanks for your comment. Yes, please do send me exchange list. I am not a huge collectro either. Interesting site. I would like to hear about updates. Very nice site! The designer in you shows in the way you chose to display your stamps. Thanks, Francis for your comment! Thanks for your comments. I am using iPhoto to sort out my stamp albums now. I will try your software. What a beautiful website Tomoko! I too am a graphic designer and bike enthusiast. I’ll put a link to your blog on my Velo-Retro.com website links page. Thank you, Chuck. I am receiving visitors via your web site!! I am thinking to make link for my favourite website, other than stamp website. Dear Tomoko., My name is Sulistyo from Indonesia. I just want to say that your website is really good, especially your collection. I promise you to put your link on my website. I wish we can share anything about philately. Thank you for your comment and the link. I made your blog linked mine, too. I have never explore Indonesian stamps – will be able to do it now! Thank you for the exchange link. I get visitors from your blog. I wish you get well from my blog. About Indonesian stamps, I will give you a series of latest issue of stamps as a gift (after 2010). I hope you like it. I found your blog while searching for info on Italian furniture designs depicted on Italian stamps in 2000. After that, I back-read some of your posts and, I have to say, that I truly enjoyed reading them. I linked your blog to mine, I hope you won’t mind, so that I could easily visit your site. Last time I visited my family house in Syndey, I also went through my stamp collection, which also includes my father’s childhood collection. the collection is rather interesting as it dates well before the revolution in iran, with some stamps dating back to the 20’s and 30’s, and then from when I took over collecting from the mid-80s in the heat of propoganda. politics aside, the artwork, motifs, designs are spectacular. The collection also includes lots of foreign stamps from the 50s up to the 80s, including some Japanese. Maybe I will bring them to London next time! How are you? Looking forward to see your collection when you bring them to London. I am curious about propaganda design, which are often very strong message carrier. I have recently started a new blog http://everydaypeopleoftheworld.wordpress.com/ and having read your blog I think that you are someone who would be excellent to feature. Thank you for your contact and introduction of your blog. Very good concept of your blog. At the moment I am a bit rushing off to my summer travel and won’t have relaxed time right now, but will be able to join you in the near future, I think. Keep in touch and I will follow your blog to see the progress.